Another Sporty Gas Saver! We Totally Understand Not Everyone Needs A ?? For Their Daily Driver So We Do Best To Find As Many Fun To Drive Reliable Imports As Possible. 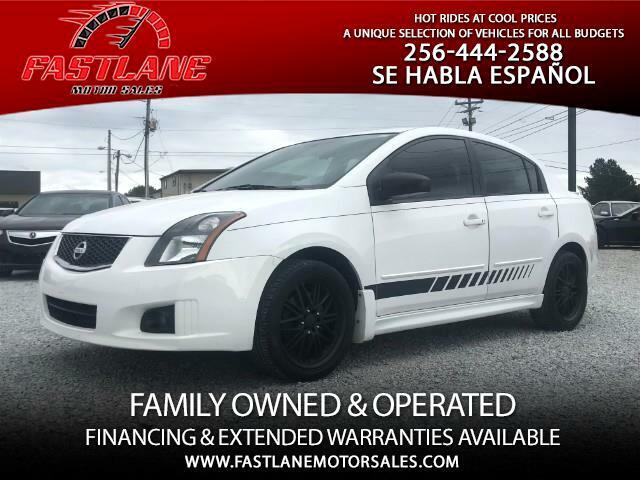 Such As This....2008 Nissan Sentra SE-R With Automatic Transmission. This Top Of The Line Sportier Model Sentra Has A Nice Set Of Aftermarket Wheels, Tinted Windows ?? And A Sunroof. This Is A Hard To Find Model, It Gets Over 30MPG On The Highway And Has Only 116K Miles! This Sharp Gas Saver Is Yours For Only $6,750 Plus Tax & Title! More Pics On Our Website, Please Check It Out. ?? As Always, We Have No Doc Fees!!! Online Applications Are Free & Easy!!! Only Takes A Couple Minutes To Start The Process Of Obtaining Your Next Dream Vehicle. We Make Dreams Happen! Again Please Follow Our Link To The Hottest Website For Car Enthusists In The South!